The first thing we can do is to avoid detox programs found online, in do it yourself books, on the advice of friends and family or information from infomercials. Some people are looking to remove heavy metals and other harmful stored toxins from the body, while others are using the programs to lose weight. Before starting any detox program, do the research to see if there are any harmful side effects or results from the program, you are considering. Most detox diets, pills and fads are more harmful than helpful to your body and in some cases can have very serious side effects. Detoxing can help with getting rid of stored toxins from the body and sometimes you do lose weight in the process because a healthy detox lifestyle is all about changing eating habits. One of the best forms of detoxing is changing how you eat and drink. Stop putting foods, which contain harmful chemicals and additives. Implement a balanced diet and add more of the foods that work harder in the body such as fruits and veggies loaded with fiber, vitamins and antioxidants. Foods that fall in those categories are fruits, green veggies, citrus, garlic, seeds and nuts, and foods such as olive oil, avocado and flax seed which contain high amounts of omega-3 oils. 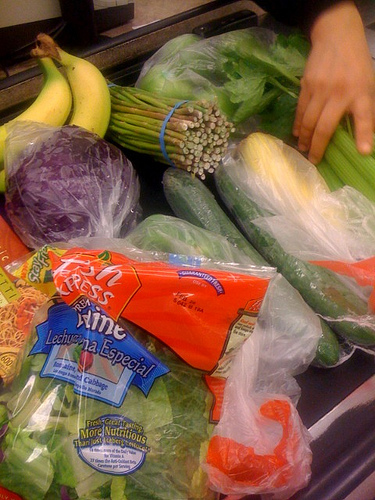 Buy organic fruits and veggies if you can and avoid the pesticides often used on non-organic produce. If you cannot afford all organic, try to buy the non-organic fruits and veggies with less pesticides used on them or ones you can remove the skins and rinds for the clean fruit inside and buy the high-leveled ones in organic. Drink plenty of water and other clean liquids to flush the body. Water works not only to hydrate the body but also to flush toxins and fat out of the body. Green tea flushes the body, contains high levels of antioxidants that help to improve liver health and possibly helps you lose weight. Avoid drinks containing additives and chemicals. Start exercising. Exercising not only helps you lose weight and be healthier but also the sweating works to flush fat and toxins out of the body. Jump into the sauna after working out or for relaxing as another way to encourage more sweating and toxin release, just remember not to overdo your sauna time and to drink plenty of water while in it. Get plenty of rest. Sleep studies are beginning to show that ample sleep is just as important for weight loss and staying healthy as eating, drinking and exercising right. Sleep not only leaves you feeling rested but also it is the body’s downtime to repair and heal as well as to flush out the body. Finally, avoid heavy drinking, drugs and smoking or being in rooms where people are smoking. Some alcohol is okay when drank in moderation especially red wine which has plenty of antioxidants, the other two, smoking and drugs of any kind (that includes prescription) are just plain harmful for the body. Do not avoid prescription medications you need, but do avoid overtaking or abusing prescription drugs. All three of these can cause the body to age faster and have some serious side effects. By doing these five things, you are helping your body naturally to remove toxins, all without the aid of crash detox programs. A lifestyle filled with eating right, exercise, sleep and proper hydration will work to bless you by helping you to feel better. And when you feel better, the possibilities are endless. Tom White understands the importance of natural cleansing. Go to www.cleansingmatters.com, an established detox diet website and discover how safe and natural a body cleanse diet could help remove toxins and natural impurities.